Timetable revisions which have seen train services slashed at Preston Park were based on flawed ticket sales data rather than people actually catching trains, rail bosses have admitted. Govia Thameslink Railway (GTR) told a meeting in Parliament that it had looked at how many people had bought tickets from Preston Park – but many Preston Park commuters have season tickets from Brighton or Hove as they are the same price, which skews the figures. 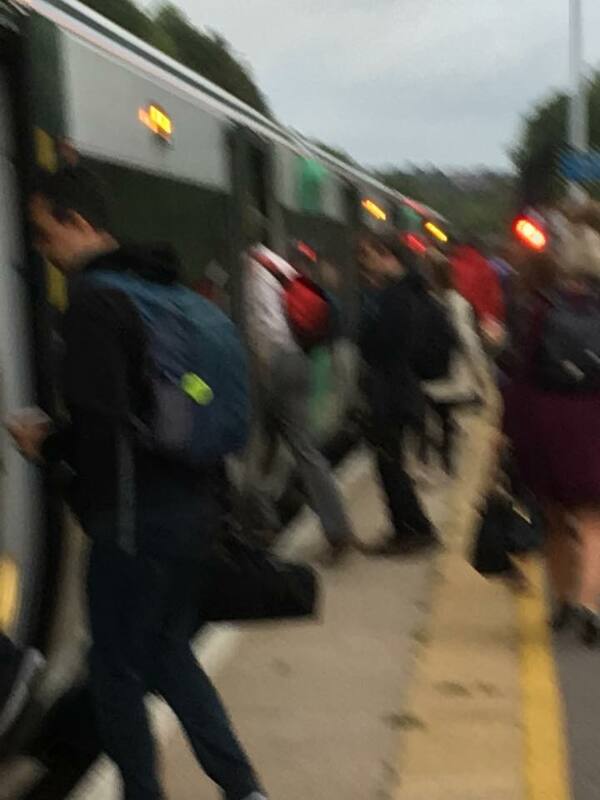 Since the new timetable, which was introduced amid chaos in May, the number of trains stopping at Preston Park has fallen by around 30% at peak times – and Gatwick Express trains no longer stop there, instead whizzing past half empty. And anecdotally, commuters are now starting to stay away from the station too, forced to find alternative ways to get to work. Brighton Pavilion MP Caroline Lucas called the meeting with GTR, Network Rail and representatives from the Department for Transport (DfT) last week week. As well as the admission over ticket sales data, Ms Lucas also pressed them on “where exactly the buck stops” on reinstating the services, receiving the answer that recommendations had to come from GTR bosses and these would be decided on by Network Rail, which is about to look at GTR proposals for future changes relating to several Brighton Mainline stations. However, any improvements agreed as a result would not be implemented until May next year, with months needed to avoid a repeat of last May’s chaos. “GTR, Network Rail and the DfT are keenly aware of the distress they caused with May’s timetable chaos and it’s vital they change their processes to prevent future problems. “But for the rail operators to delay fixing the fallout simply to comply with those new rules is completely unreasonable. The situation at Preston Park is exceptional and a ‘computer says no’ attitude is unacceptable. As well as the withdrawal of Gatwick Express trains, the majority services that do stop now collect passengers at 11 other stations before reaching Preston Park – which means they are often full on arrival. Commuters have told Caroline they are fearing for their jobs or are no longer able to collect their children from school as a result of the changes. A Govia Thameslink Railway spokesman said that passenger counts had taken place before the changes – but not at Preston Park. He said: “We are working with Caroline Lucas and Preston Park commuters to assess their rail service needs and how best to improve them. “Currently Preston Park has 16 northbound services in the morning peak. Nine start at Littlehampton, with Preston Park as the tenth stop, and seven start from Brighton, Preston Park being the first stop. “The changes intended in May’s new timetable were based on a review of Office for Rail & Road data, passenger counts at stations and on trains, and the responses to an extensive public consultation. “We carried out manual passenger counts at certain stations following the public consultation, but not at Preston Park where there was no indication that the existing figures might need updating.